A stunning Kacho Fugetsu version of the ever collectable Hibiki 30-year-old. Kachou Fuugetsu is a yoji-jukugo (四字熟語) that literally reads Flower, Bird, Wind, Moon. It means "Experience the beauties of nature, and in doing so learn about yourself". 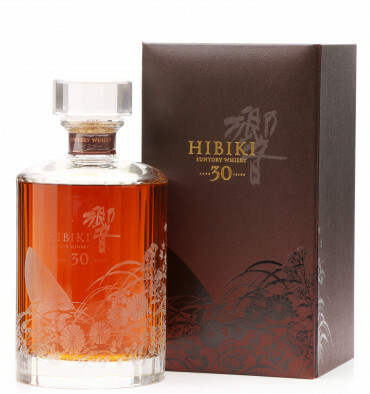 This true masterpiece in the art of blending, Hibiki 30-year-old is a remarkable mix of the finest single malt from Yamazaki and Hakushu, aged in different types of casks, and subtly vatted with grain whisky from Chita distillery. 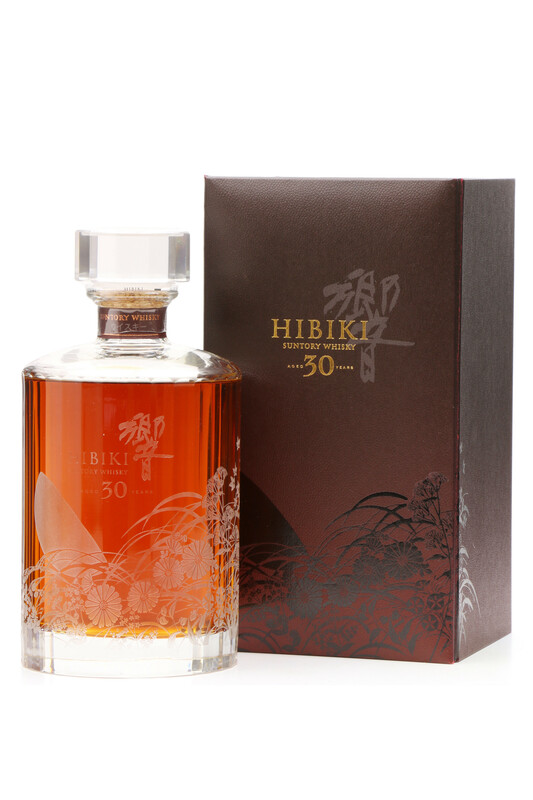 Composed of malt and grain whiskies matured at least thirty years in oak barrels, the Hibiki 30-year-old will seduce lovers of whisky with its deep complexity and incredible maturity. 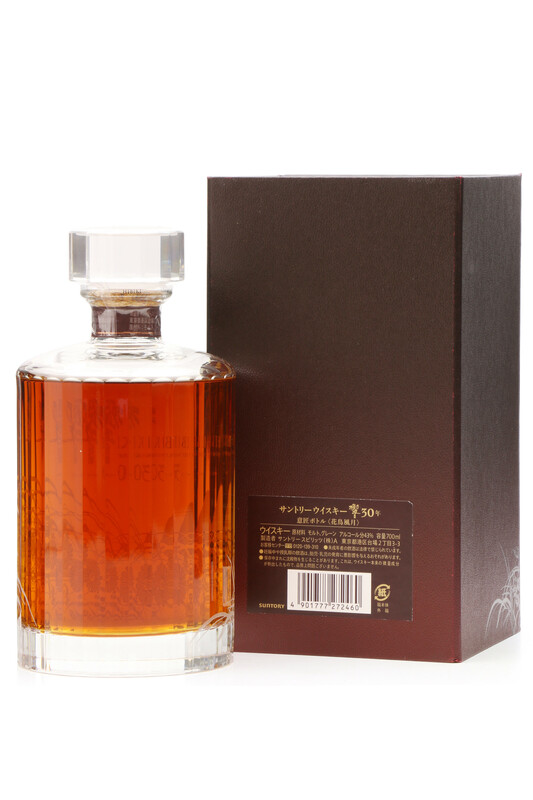 Bottled in its delightful bottle with 30 facets representing 30 years of age, the most mature of Hibiki family, expresses the quintessence of the art of Japanese whisky.